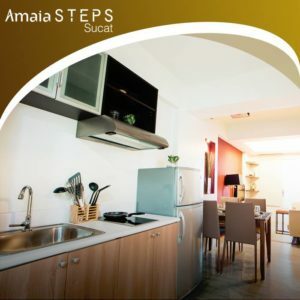 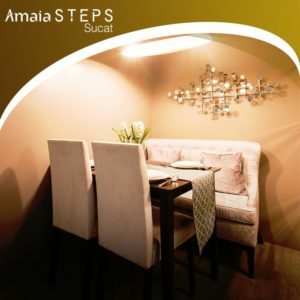 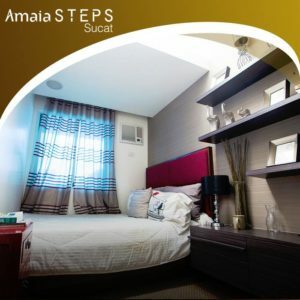 Amaia Steps Sucat is a modern and contemporary inspired mid-rise residential project with support retail shops set against the tranquil surroundings of Parañaque City. 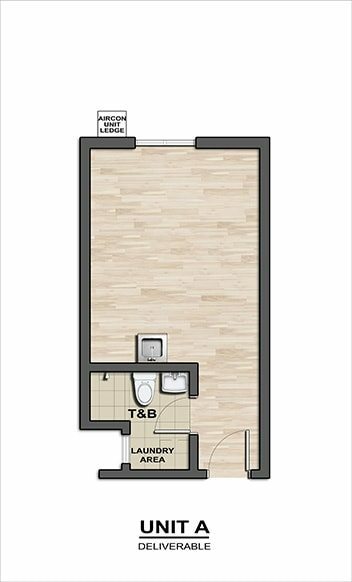 Breathe life into spaciously designed units ranging from Studio, De Luxe to Premier to choose from. 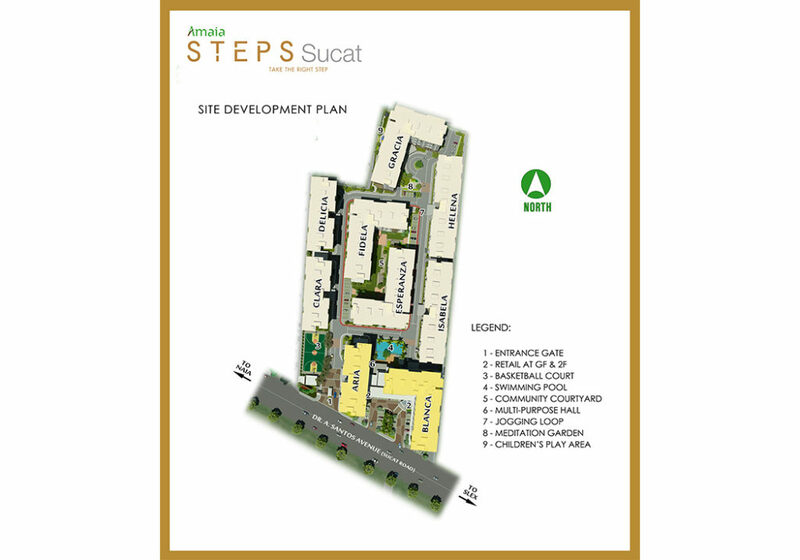 Developer : Amaia Land Corp. 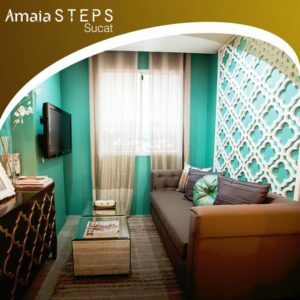 Enter the cozy lobby that gracefully blends form and function, hop in for a quick ride in the elevator or take a cardio walk up the stairs. 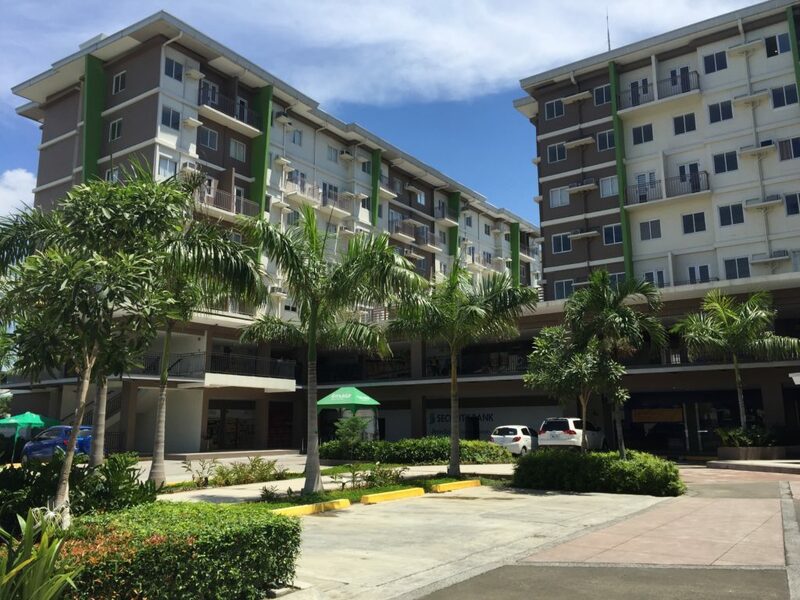 Enjoy the suburban lifestyle as you make a splash in the swimming pool, shoot hoops at the basketball court or simply relax at the meditation garden. 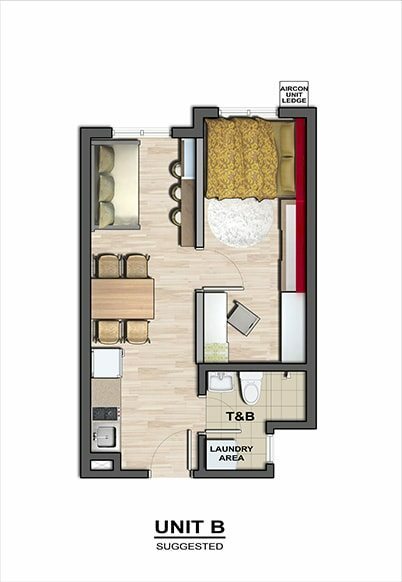 Celebrate life’s journey with family and friends at the community courtyard or the multi-purpose hall. 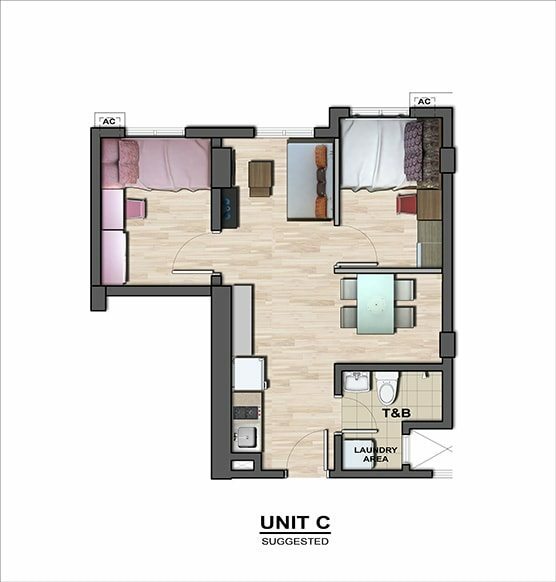 Spot 5% Downpayment; remaining 5% payable in 5 months. 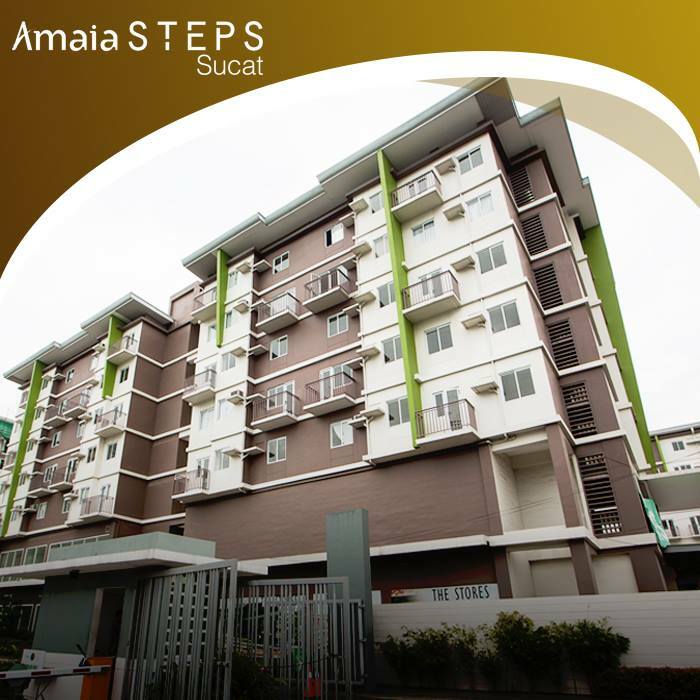 To be waived, provided loan will be released within 30 days from the date of reservation.